Developing the next generation of musicians. We believe in the power of music to change the world, one student at a time. 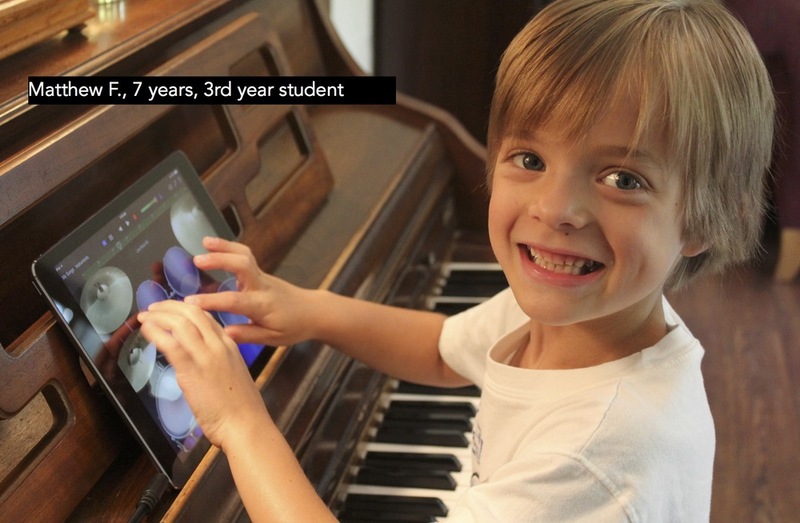 "Our kids have been taking piano lessons for over two years and we could not be more pleased. The studio operates in an extremely professional manner, with teachers always on time, and Eric makes great use of lesson time. Eric is fun, encouraging, and very knowledgeable." "My son has been with Listening House Studios for two years. I am thrilled with his progress and love the variety of musical styles he is learning. I would recommend this studio to any student who wants to take their musical experience to the next level!" 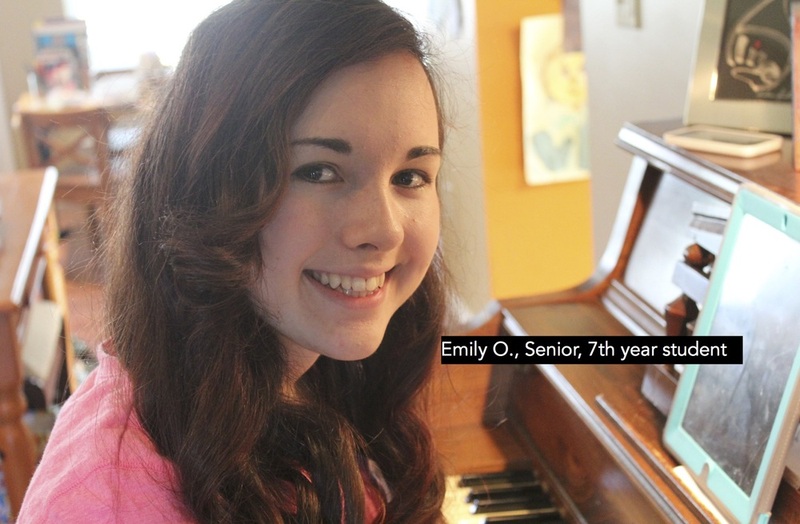 "Eric is an incredible musician and fabulous piano teacher. We have taken in-home lessons with Eric for several years and he is dependable, prompt, patient and very engaging with my daughters using technology to assist in their advancement. We would highly recommend Listening House Studios." Every week we challenge them to push the limits of what they can do creatively. And it pays off in great results. Every student keeps track of their practice time. We also hone their practicing technique to get maximum impact at home. We use technology to augment each student's learning. We use iPads, iPhones, and Android devices for everything from metronomes to sight-reading games. We host recitals and contests every semester for students, and we often record video performances for youtube on a monthly basis. Students are guided through how to compose a song from the ground up, from first note to finished recording. We teach the fundamentals of jazz and rock improvisation, and help students take their skills up a notch. Eric Barfield is a full time keyboardist and producer based in Nashville, TN, who commutes weekly to teach in the St. Louis. Eric's work in Nashville has included playing keyboards for Dove Award winning CCM artists Meredith Andrews, Lindsay McCaul, Steve Reischl (NewSong), and American Idol finalist Joe Banua. Eric also produces and records music in the Nashville area. In spring of 2016, the song "Invisible Catastrophe" by Evans Blue that Eric played keys on climbed to no. 6 on the iTunes Alternative Rock charts. 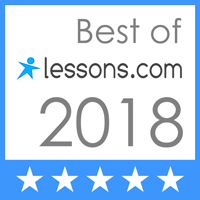 Eric has a passion for passing along the real-world knowledge he's gained to students in St. Louis, and around the country via online piano lessons. He specializes in teaching rowdy young boys, and has one of his own, Jackson. Eric lives with his wife Sarah and their two siberian huskies, and when he's not touring the world, loves gardening, hiking, and teasing his friends and family. Soon after Rhonda Barfield got an invitation to teach piano at Truman State University’s Preparatory Program, she realized she’d found her dream job. This followed her earning a B.A. degree from Culver-Stockton College, and coincided with a few years of graduate piano lessons. She also taught for four years at Beverly Milder Musical Arts in Chesterfield, where she often had 50+ students and a waiting list. 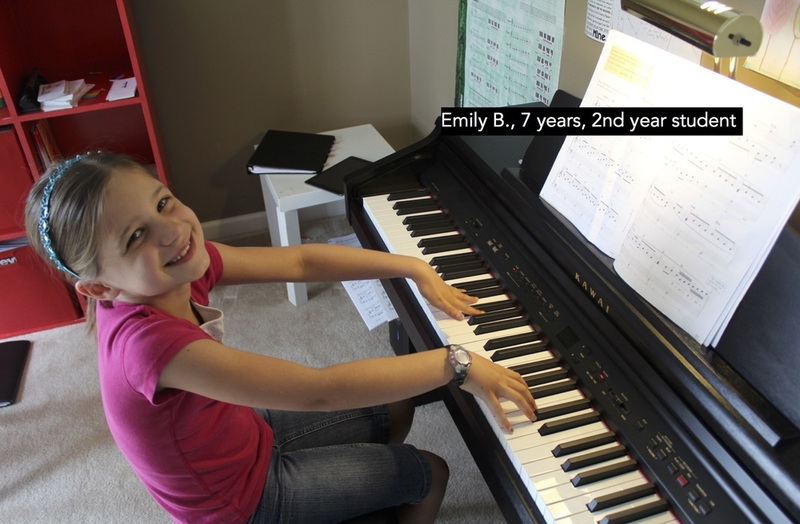 After taking a break from formal teaching to raise a family (and homeschool her four children K-12), Rhonda returned to piano teaching in 2005, forming her own private studio in the St. Charles area. Rhonda loves to get active kids up and dancing, singing, and playing rhythm instruments, and sometimes reading a fun book about a composer. In her spare time, she enjoys walking in historic St. Charles, biking the Katy Trail, reading, hanging out with her family, and snuggling her rescued cockatiel, Fiddler.